UPDATED February 17: Lina Khattab was sentenced to six months imprisonment, a 6000 NIS ($1500 USD) fine, and three years probation by the Israeli military court on February 16. All materials below are updated to reflect Lina’s current situation. Please continue to demand her immediate release! Palestinian student Lina Khattab, 18 years old and a first-year media student at Bir Zeit University, was sentenced by an Israeli military court to six months imprisonment, a 6000 NIS ($1500 USD) fine and three years probation, after her arrest by Israeli occupation forces during a student protest to free Palestinian political prisoners. Lina is also a folkloric dancer with the world-renowned El-Funoun Popular Palestinian Dance Troupe and is active with cultural and political student activities at the University. She was charged with “throwing stones” and “participating in an unlawful demonstration,” two charges frequently used by the Israeli military against Palestinians who participate in public protests against the military occupation. She was sentenced by Israeli military courts, reserved for Palestinians under occupation, which have a 99.74% conviction rate. Earlier, on January 12, she was denied bail at a hearing in which the military judge said, “looking at her, I can see the characteristics of a leader.” Active Palestinian students frequently face arrest and imprisonment for their campus activities, including involvement in student union elections, student protests, and campus activist organizations and student government blocs. Lina reported through her lawyer that she had been abused and beaten by Israeli soldiers during her detention, and one of the soldiers hit her, ripped her clothes and shouted obscene insults at her. She has been denied family visits since her arrest. Lina is our sister and our comrade: a Palestinian young woman, student activist, imprisoned for participating in a popular demonstration for justice under occupation and apartheid. 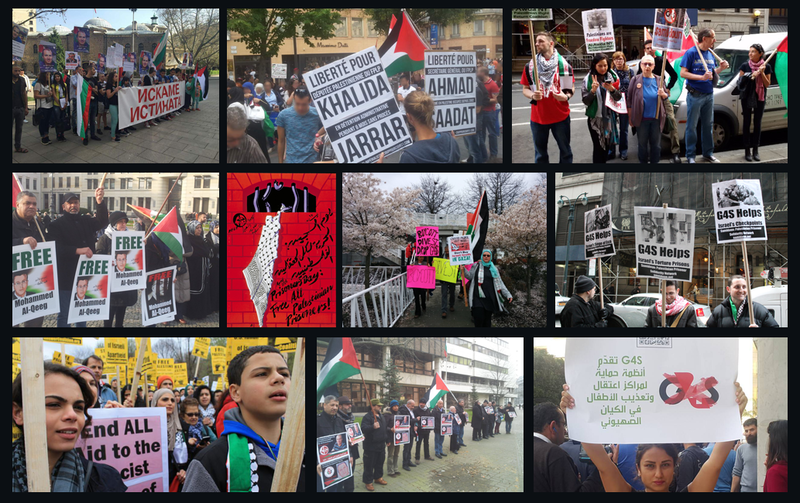 Hold a protest or demonstration at an Israeli consulate or mission in your area to demand freedom for Lina Khattab, or join an existing protest and carry signs demanding Lina’s freedom. Please send pictures, reports or facebook links to your events and actions! 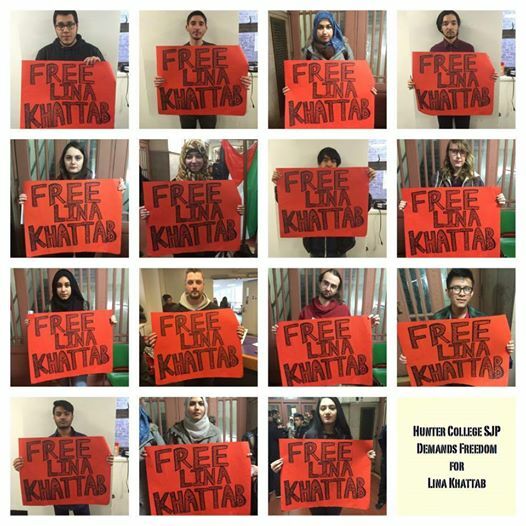 Hold a campus event – a discussion, tabling session or banner drop – to support student activist Lina Khattab and build international solidarity among student and youth movements for Lina’s freedom.